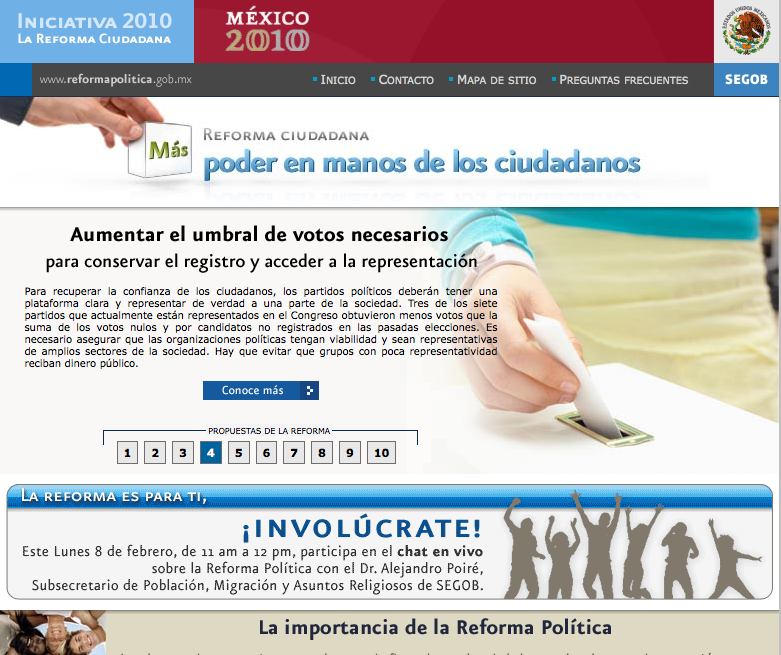 The Ministry of Government has launched a new website, www.reformapolitica.gob.mx, to lay out the government’s proposals for political reform. The site includes space for citizen comment, a library of various useful documents on political reform, information on public forums on the reform, and a variety of other materials. This entry was posted in Government, Political reform. Bookmark the permalink.